This chronological account of the battles and campaigns of the Revolutionary and Napoleonic Wars follows the battles of the French Republic and rise and fall of Napoleon Bonaparte. The events of the French Revolution laid the foundations for a quarter century of almost unbroken conflict that stretched from Russia in the east, Spain and Portugal in the west, and to the continents of Africa and Asia. An overview of the events that led up to the French Revolution and their impact upon not only France, but the rest of Europe, sets the scene for a history of this pivotal period in European history. The development of the armed forces under the inspired leadership of Lazare Carnot saved the French nation from foreign invasion. Napoleon Bonaparte's arrival on the scene changed the pace and objectives of the campaigns in Europe, and his impact upon the armies of the day and the outstanding campaigns of his early years in power are recounted in detail. 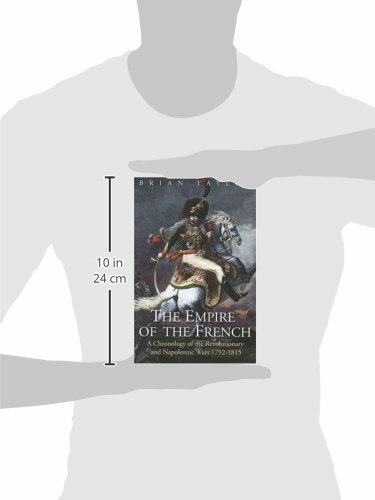 The chronological style allows the reader to study the developing nature of the conflict as Napoleon's ambition plunged more and more of Europe into war. By detailing each campaign front separately, the reader is able to study a chosen area of operations in isolation while also assessing its impact upon the wider campaign.